The InBodyWATCH is a wearable fitness/activity tracker that not only counts your steps, tracks sleep patterns and monitors your heart rate; it goes beyond conventional trackers to measure body composition as well as track stress levels. It can be easily synced with a smartphone via Bluetooth, offering advanced tracking features in tandem with the BodyKey Mobile App 2.0, and is custom-designed to fit you and your lifestyle. The InBodyWATCH perfectly complements the Nutrilite BodyKey Jump Start Kit and results in more effective and healthy weight management when used together. 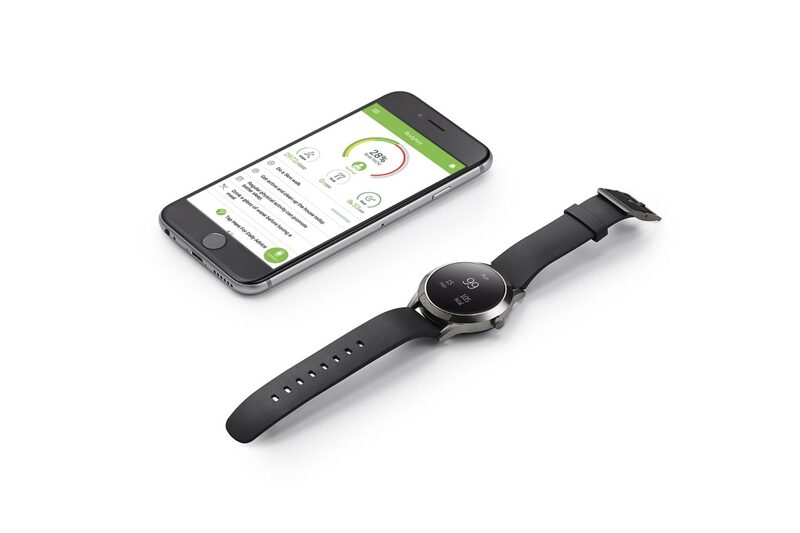 Using Bioelectrical Impedance Analysis (BIA), the InBodyWATCH measures your body fat percentage, fat mass, muscle mass and Body Mass Index (BMI), as well as combines these with the features of an advanced activity tracker to measure real-time steps, distance, time and calories burned using an internal 3D accelerometer. The PPG (Photo-plethysmography) method meanwhile, is used to constantly measure your heart rate in real-time and consequently calculates your stress levels via HRV (Heart Rate Variability). In addition, it uses a precision motion sensor and a powerful algorithm to automatically track you and provide you with sleep analysis (Deep, Light and Wake) via the BodyKey Mobile App 2.0. The InBodyWATCH also comes equipped with other Smart features, like an easy to use touch screen, auto time, date and battery life indicators, as well as notifications for calls as well as SMS, WhatsApp and LINE messages. 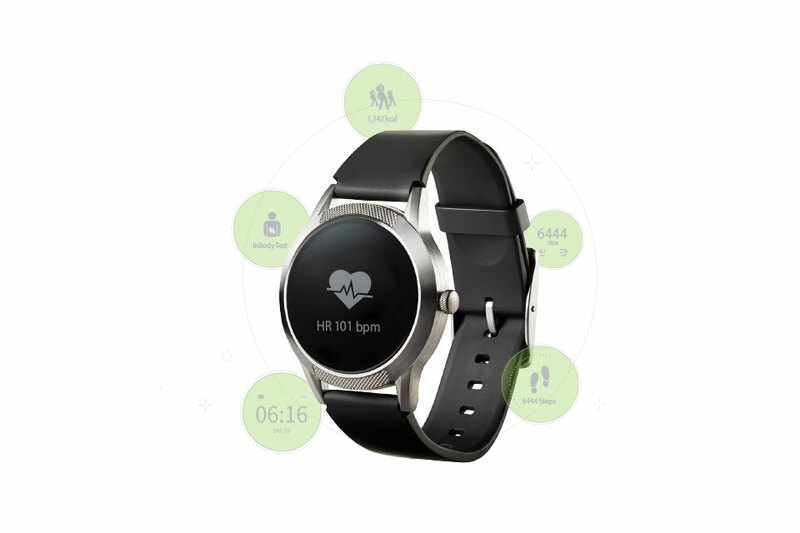 Use features like Alarms (Goal, Move, Meal), on-screen periodical summary of steps, InBody Test results, workout and heart rate to monitor the number of steps you walked, your exercise duration, calories burned and distance covered. Best of all, these functions can be carried out independently on the InBodyWATCH, with or without the BodyKey Mobile App 2.0. In terms of water-resistance, it is IP68 certified, which ensures that the InBodyWATCH is protected when you’re washing your hands or taking a light shower. However, it is not designed for swimming, so it is best to keep the device dry as much as possible and avoid immersing it in liquids. The timeless design can be easily adjusted to fit your everyday wear as it can be used with any strap that is 18 mm wide. 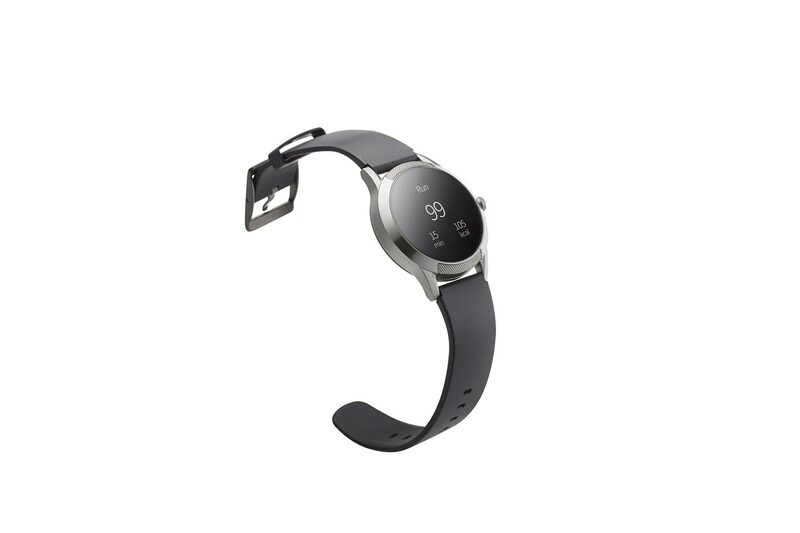 Stylish yet functional, the InBodyWATCH has garnered the prestigious 2017 CES Innovation Award for outstanding design and engineering in consumer technology products.